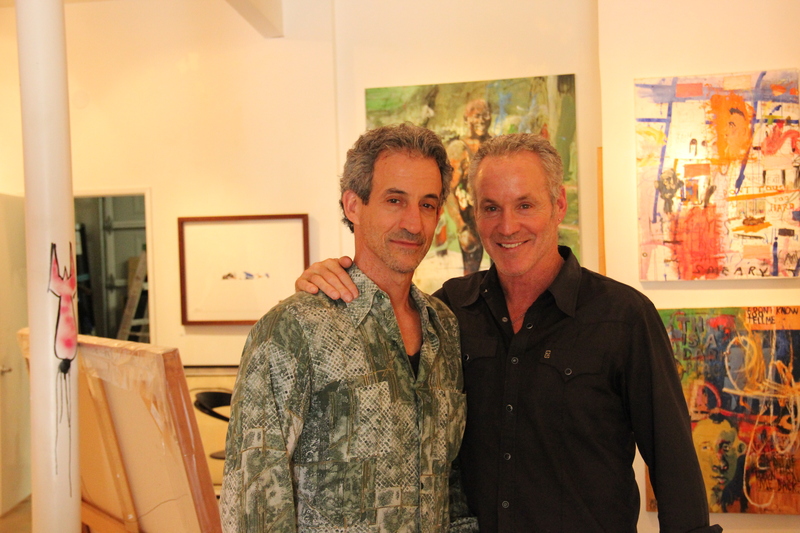 Bruce Lurie and his three brothers, identical twins, Craig and Scott, and Evan started the Bruce Lurie Gallery. 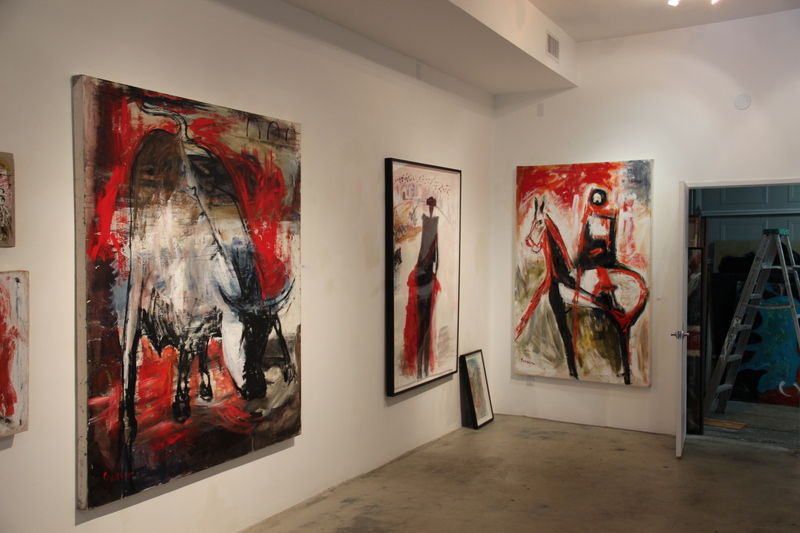 The gallery is an historical art icon as it was one of the first galleries to host the work of Jean-Michel Basquiat. Basquiatâ€™s hang out buds, Andy Warhol and Keith Haring were also cultural icons and frequent visitors to the gallery, which in 1984 first opened its doors in New Yorkâ€™s Soho District. Bruce and his crew of brothers were only in Soho for six months before moving to the East Village. From Soho, as Bruce tells the story, the gallery moved to the East Village around January or February of 1985. â€œBasquiat, Warhol, and Haring were all friends when the art scene was at its highest in the New York area and the market was fruitful. â€œ Unfortunately, 911 is what caused me to move out to Los Angeles. 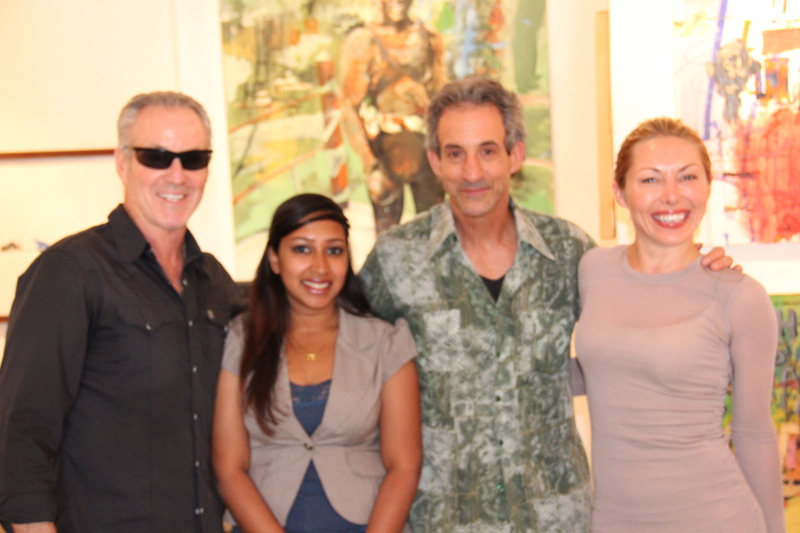 We were actually the first gallery in Chelsea during 1989 through 2001. Many galleries at that time thought it best to close down business because; we did not know how long it would take the art market to come back. It was a bad time. When asked, what the difference in marketing for art from the West to the East, Bruce replied, â€œYou know itâ€™s not that different on the West Coast in art because as you know, New York sets the trend. I mean, worldwide, New York is the capital of the art world. California, I believe, is number two or three and it is not that far behind New York. Some trends will start more in LA and then go to New York and certain trends will start in New York and then come around to LA. Los Angeles and New York are the most important markets in the United States. Chicago, then Santa Fe, which is a small town but number six in the country for art. Miami obviously because of art plaza is a huge art market but it is much more seasonal. 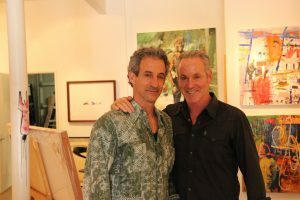 I closed the gallery in Miami in 2008, which I had opened in 2004; I was there for four years and then made the final decision to re-locate to the West Coast. Miami has a different mentality of buyers and it was very frustrating. In Miami, from October to end of April, you are dealing with heat and humidity. You might as well be closed, it is not good for anyone. Our lease was up for renewal shortly after 911. That was a very frightening time for me. Everyone was on the edge. I had to think about either leaving or sticking it out. It was at least one to two years before we would see any kind of normalcy to the market. Right after that everyone wanted to be in New York again because you could find leases that were available for little or nothing, especially in Chelsea, which caused a renaissance of the arts in that area. You can find hundreds and hundreds of galleries there now. Many, many galleries went into hibernation to wait to see what would happen there next. Here in Los Angeles artist from around the world approach us on a daily basis. We would like to be one of the people that discover new artist. The direction of the gallery is that we represent a lot of abstract artist and pop art. We started out a little differently but that is the direction that we are going in now. We have some great artist like, Brian Liebenthal from South Africa who does amazing work on wood, with a mixed media of acrylic, oil, and resin. New artist Michael Suchta, works acrylic on reversed glass into six to seven layers of comic art. We do not keep them in stock they are sold before he walks in the door. I met him in at a small art fair in San Francisco. He is a former advertising and marketing person that was doing comic art and illustration. Every piece had a red dot on the wall and I was looking to see just how much it cost. He was charging this ridiculously low price of around $500.00. We signed him on and in three months he was up to $1200, then $1500 and now $2500 and this is only in a year and a half.Â They sell through the roof. We also specialize in monumental sculpture, works on paper and photography. We signed on a great Puerto Rican photographer, Jorge Kramer who was just accepted into the Getty museum a very exciting time for us. Speaking of Jean-Michel, Keith Haring told Leo Pastelli, who actually made Basquiat before he had anything on his resume, to find a gallery in the East Village that he liked so that they could get him an art show. Jean-Michel and Haring came to my place and Haring introduced him to me. Haring says, â€œdo you like what you see, you like his workâ€, wow I love it. !! I had these little works on paper, there were five of them, I would say the size was about 30×42, I sold them for $1500 each. Someone came by and bought them, I wish I had kept a few pieces. The one piece that I did keep, I finally sold. I wish that I had not because that particular piece is now somewhere around the price of $400.000-$800,000. The downtown art scene here in Los Angeles kind of reminds me of the East Village back in the eighties. I encourage everyone to do his or her art but downtown is like going into a thrift store, you have to sift through it. You never know where you might find good art.